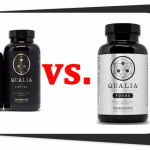 Qualia Mind vs. Qualia Focus presents two premium nootropic products for people who want to sharpen the different aspects of their cognition. Qualia Mind uses a highly complex formula which features 28 active ingredients which enhance multiple aspects of your cognition. For its part, Qualia Focus is a simpler formula which enhances specific aspects of your mental abilities. Is one formula better than the other? Let’s find out in this review. 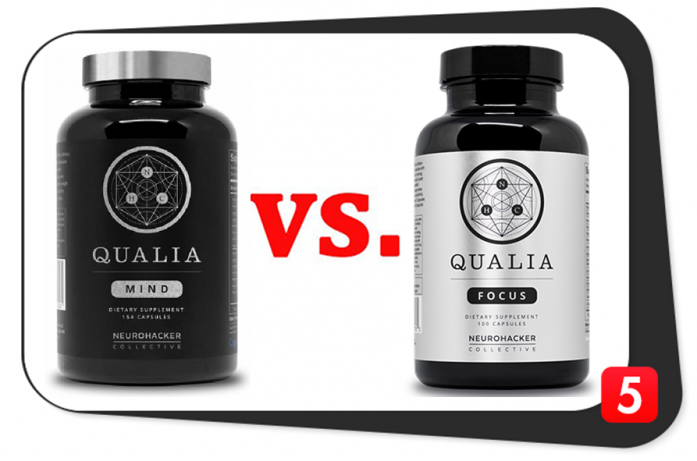 Qualia Mind and Qualia Focus are both natural nootropic stacks from the same manufacturer. How are Qualia Mind and Qualia Focus formulas similar? The forms and dosages of most of Qualia Mind and Qualia Focus’ ingredients are similar. Of course, we expect these ingredients to produce the same benefits. Both supplements feature advanced ingredient forms and standardized herbs which help enhance your cognition to the fullest. How are Qualia Mind and Qualia Focus formulas different? This table shows some of Qualia Mind’s ingredients have higher dosages than Qualia Focus’. Even though ingredient forms are quite similar, higher dosages may increase the efficacy of some ingredients. The notable difference between Qualia Mind and Qualia Focus: the form and dosage of the stimulant caffeine. Qualia Mind only provides a generic source of caffeine (caffeine anhydrous) while Qualia Focus provides a branded source of caffeine (Organic Coffeeberry®). Even though both formulas provide equal doses of caffeine at 90 mg, Qualia Focus provides 129 mg of Organic Coffeeberry®. Nevertheless, caffeine may produce certain side effects when one takes it in excess. Please note all of Qualia Focus’ ingredients are also present in Qualia Mind. Qualia Mind offers the better formula because it provides more ingredients in higher dosages than Qualia Focus. 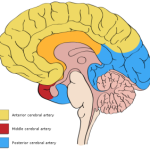 In addition, Qualia Focus’ ingredients are also present in Qualia Mind. Therefore, it is likely the latter provides more benefits since it offers more ingredients in better dosages. The bottom line: both formulas are fairly potent. They do not contain shady proprietary blends which hide the dosages of its ingredients. In addition, both of these Qualia nootropic stacks do not contain banned substances. The nutrient combination of Qualia Mind is superior to Qualia Focus because it offers more ingredients in significant dosages. Clean Label Mostly natural ingredients which include: Organic Rice Extract Blend, Organic Rice Concentrate, Vegetable Cellulose, Silicon Dioxide. Mostly natural ingredients which include: Organic Rice Extract Blend, Organic Rice Concentrate, Vegetable Cellulose, Silicon Dioxide. Advanced Delivery No. Vegetarian capsule only. No. Plain veggie capsule. Stim-Free No, it contains 90 mg of Caffeine Anhydrous. No, it contains 129 mg of Organic Coffeeberry® (90 mg caffeine) whole coffee (Coffea arabica) Fruit Extract. 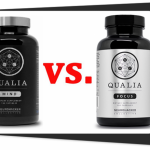 Qualia Mind and Qualia Focus have the same quality because their similar ingredient forms. However, the former offers more branded ingredients. Another notable difference: the caffeine source. The entire formula of Qualia Mind contains more ingredients than Qualia Focus. It has more branded ingredients, too. Both Qualia Mind and Qualia Focus come from the same manufacturer, so expect them to have similar qualities. These prices are from the official website of Neurohacker Collective in 2018. If you want to shop around for deals and maybe save a few dollars on these products during flash sales and other promos, you can also check out Amazon.com. However, you won’t find them on Bodybuilding.com and GNC. The formula of Qualia Focus delivers better gram-for-gram cognitive benefits than Qualia Mind. Even though the latter contains more ingredients, its price is about twice higher than Qualia Focus’. Qualia Mind might deliver more cognitive benefits due to more ingredients in its formula. However, the mind might find this many nutrients more difficult to absorb. On top of that, negative ingredient interactions remain possible. On the other hand, Qualia Focus sacrificed its ingredient quantity to lower its price. Nonetheless, it does not compromise on quality. In terms of pricing, Qualia Focus is cheaper than Qualia Mind because of the former’s fewer ingredients. 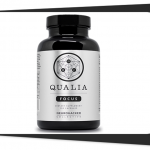 Nevertheless, Qualia Focus is a potent formula which provides maximum cognitive enhancement. It is worth the savings if you are after essential cognitive support. Qualia Mind vs. Qualia Focus: Which is Better? 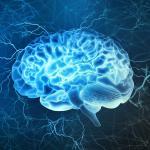 The formula of Qualia Mind has plenty of beneficial nootropic ingredients for you. It is an improved Qualia stack which did away with most of the issues of the Original Qualia formula. The formulas of Qualia Mind and Qualia Focus are of the same quality, considering that they are from the same manufacturer. Qualia Mind is a more expensive nootropic since it contains more branded and pricey ingredients. However, you can also expect more benefits from Qualia Mind since it enhances most, if not all, aspects of your cognition. On the other hand, Qualia Focus only provides essential cognitive support for the aspects of your cognition which provide fewer benefits than Qualia Mind. 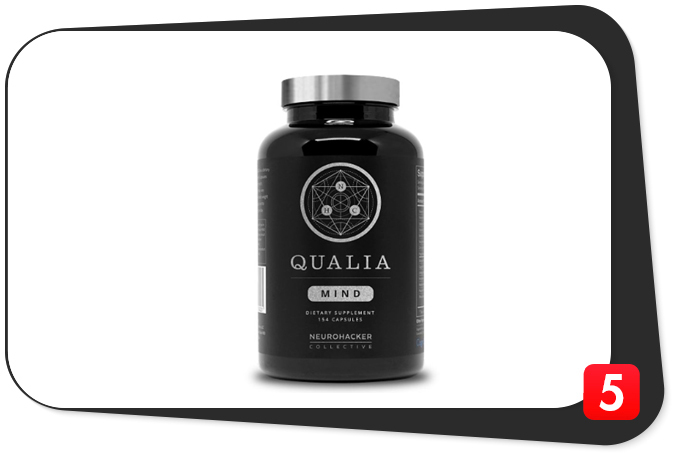 If you are after a nootropic stack which provides significant cognitive enhancement, Qualia Mind might be the right formula for you. While it is pricey, it works. That’s what matters more in the long run.